LGBTQI+ people are affected by armed violence through wars, state repression and while crossing borders. 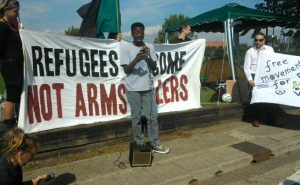 There has been an increasing trend in recent years for arms companies such as BAE Systems to use “pink washing” to try and improve their corporate image, promoting themselves as inclusive and “LGBTQI+-friendly” organisations, even while their weapons cause devastation to communities around the world. LGBTQI+ activists are taking action, refusing to let their identities and struggles be co-opted by military institutions. 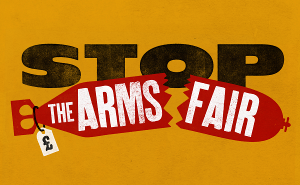 You can read more about the campaign against military involvement in London Pride on the CAAT site (https://www.caat.org.uk/campaigns/arms-trade-out/pride), and find out more about No Pride In War at noprideinwar.com.